Clean and fast move in. Awesome desk guy. Good location for Temp. Excellent facility, fair price, great people running it! I enjoyed the amicable staff when moving in; it was hassle free and quick. Also the surrounding grounds are always neat and tidy. It was quick and easy. After doing my paper work in advance the move went smoothly. The guys in the office are helpful and friendly. Convenient location and pleasant service. The intI'll sign up was a bit of a slow process but it could just have been because I was in a hurry. Otherwise, it was great. Great prices and friendly staff! Fast and informative upon move in day. Offered me cold water on a hot day. Perfect for what we are looking for.. .thanks!! 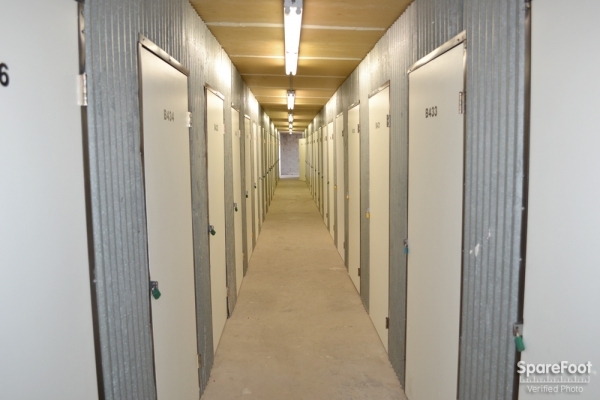 Safe and Secure Storage options! Very helpful and kind staff! This facility is convenient and safe, and locks provided! 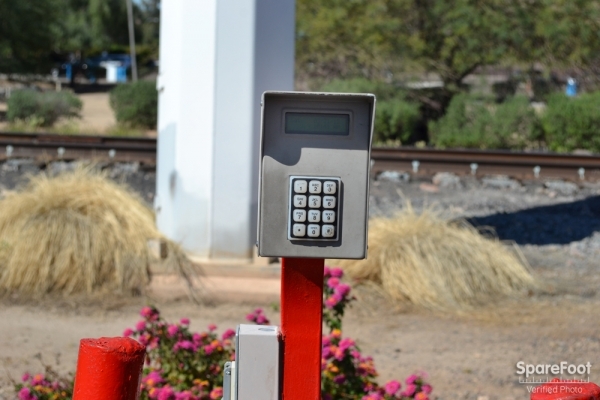 Each unit has its own custom pin code to enter and exit the gate. 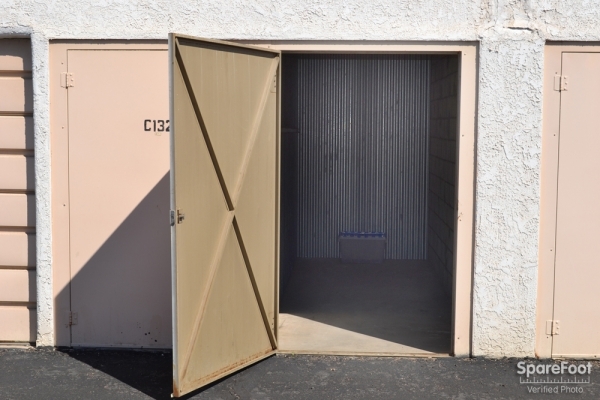 7am - 7pm and that gate keeps more accurate time than your cell phone, so ere on the side of caution when getting into your unit after dark... other than that you can't ask for a better facility to help protect your belongings. Easy to setup a new account and friendly customer service. AAA Aliance storage is a great mom and pop operation. 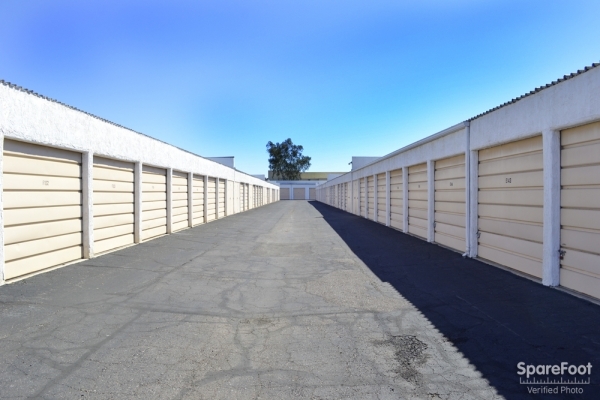 They have good rates and a variety of unit sizes to fit your needs. Their customer service is top notch. Highly recommend! Great place with good owners. Excellent price and extras. Sparefoot made it easy to find a storage place. I found a great deal on a 5 X 5 and it even included a lock. It's pretty close to my house. Now I am not overwhelmed by my stuff all over my apt. They even give you a cold bottle of water. Nice friendly folks, Fair pricing. Had a problem with the lock on the first unit, but they quickly found me another one. All is well. I am very please with the facility and staff. Location is perfect. Price is right. Management is very pleasant. Facility is well-maintained. i found that paul and diane go above and beyound their call of duty as managers. i had some plants i didnt know what to do with i didnt want them to die in my locker they took them in and are caring for them until i can get back on my feet . very lovely people. Reasonably priced and very good customer service. 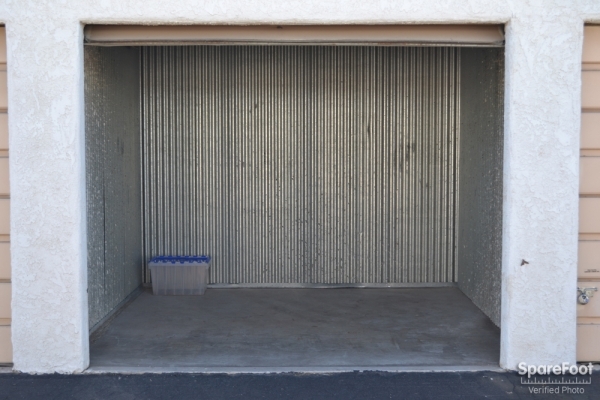 Diane and Paul make the process of leasing a storage unit simple, comfortable and certainly professional. Both are accommodating and straight forward in making sure you will be more than satisfied with the unit you lease. 5-stars for sure! Paul and Diane are very helpful and took the time to explain everything to me and they are very patient with my calls . I am happy with they're service. I found this storage unit online because of the price but signed up with them based on how friendly and helpful they were. Simple looking, friendly helpful staff. Outstanding ! Paul and Diane are warm, wonderful professionals. Our daughter starts at ASU in the fall and we are from Pennsylvania. We figured it would be sensible to buy what she needs now while we were out there for freshman orientation and store it then try to do everything in August just before move in. 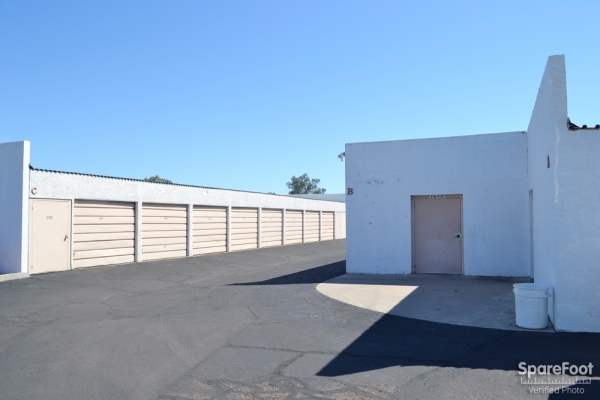 I researched storage facilities online and this place seemed to have great reviews. I don't usually use customer reviews for my decisions but I was glad I did this time. They have great customer service, provide a new lock for your store room, and I got the first two months half off from the online deal even though I only need the storage for 2 months. I got the 5 x 10 unit and it has plenty of space. It was very clean inside and in the 110 degree heat stayed relatively cool considering...... We'll probably go back and rent a room every summer from them. Very friendly and answered all questions with direct answers. I would recommend this place to anyone. I felt completely welcome soon as i walked through the front door. 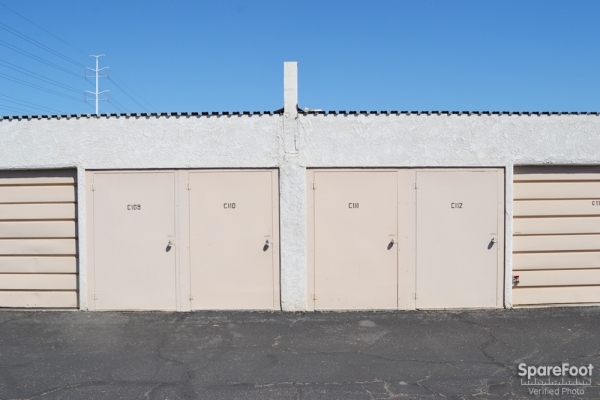 The whole storage complex is very well maintained. I am looking forward to being tenant here for a while. I'm confident that my things will be safe. Before I even arrived, the couple were very prompt about calling me back to confirm my reservation. The paperwork took about 20-30 minutes, but they were very friendly and made conversation, so the time went along quickly. The facility was clean and secure. I'd recommend this to anyone, especially students because of the vicinity and price. Your stuff is safe here! I rented 2 units from Paul & Diane at AAA Alliance for over a year. Upon move in, the place was clean & well-lit & the coded (you even pick your own code!) enter only security gate gave me peace of mind. They will GIVE you a really nice deadbolt w/2 keys (bolt & keys in a pkg opened in front of you & then handed over - the storage facility never has keys to your unit) when you sign the agreement. They also provide a great referral bonus/discount for both you & your referred friend. I had no problems whatsoever the entire time my stuff was there. Each time I contacted them, both Paul & Diane were extremely helpful. I'm female & over the summer I was selling my washer/dryer out of one unit that was in the very back row. I was selling to 2 gentlemen who responded to my Craigslist posting & had never met; they were to meet me at AAA. Something didn't feel quite right & I was concerned about taking 2 strange men to the back of the isolated facility alone. I contacted Paul about my apprehension & apologized for imposing, but he waved off my apology & said 'Better safe then sorry'! So Paul met & escorted me to the back row unit when the 2 men arrived. He even helped pull out items so we could get to the washer/dryer (did I mention this was in JULY???) In the end, the 2 men who came to buy my washer/dryer were as nice as could be; but I felt better w/Paul there nonetheless. It was a simple kindness that I did not forget. I HIGHLY RECOMMEND THIS FACILITY!! I have 3 small units at the moment. Diane and Paul have been so helpful and accommodating. 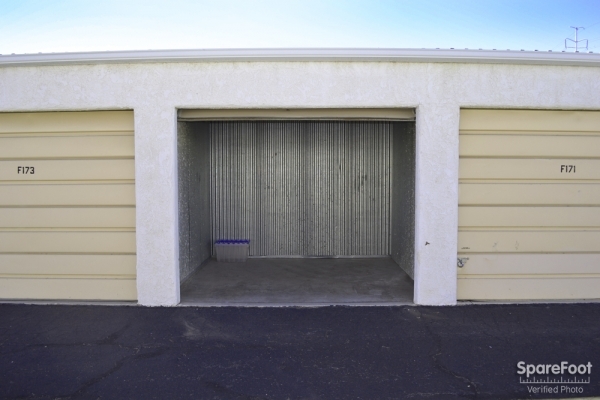 I have had several storage units over the years and AAA ALLIANCE is the best! I wouldn't put my most precious belongings anywhere else, I know they are safe! And as far as affordability, best rates I've found; totally affordable. Very nice staff onsite. They are always helpful and polite. Prices are the best I have found. 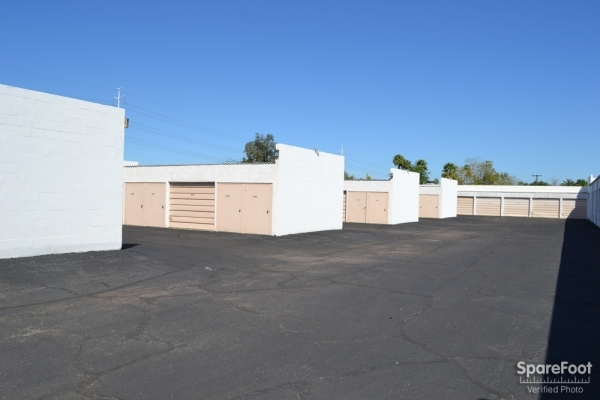 Best Self Storage in Tempe! The property managers, Diane and Paul, are so wonderful! 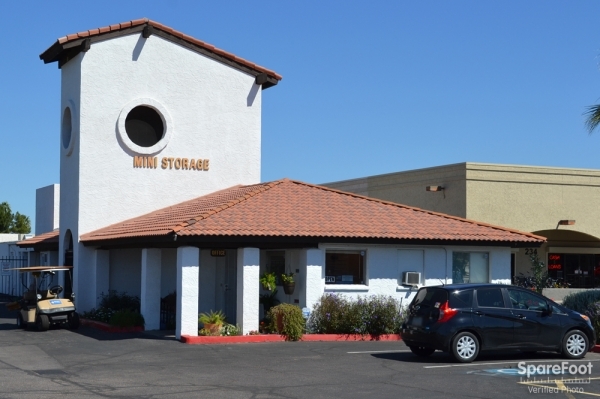 They truly care about their customers and make everything about getting a self storage so simple and stress free. Paul & Diane were very helpful in my storage needs. Had a good experience with the owners. Helped me out provided great service and was great to have a friendly conversation with them. The paperwork process took entirely too long. Owners are very nice, but lack a sense of urgency. Needed a unit moving from a 3br house into an apt. Great location and staff. I was able to reserve the spot online the night before, and got it all set up. Great customer service! The owners helped me decided between a 5x10 and a 5x5. Very helpful and kind hearted people. The facility is secure and clean. The pricing is fair and they often have good discounts going on. 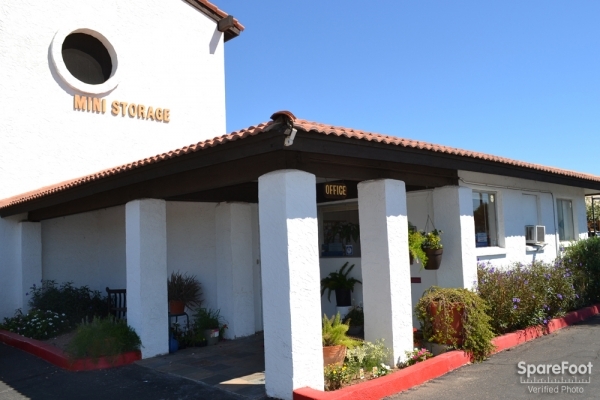 The friendly and helpful staff made getting a storage space a pleasant experience. The buildings and grounds are kept very clean and the price was very reasonable. Great location. Great price. Clean, Easy, Owners are pleasant and helpful. I have been in several storage units in the valley, this is by far the best one I have been in. Excellent service, location, and price! Paul and Diane were both incredibly helpful from the moment I first considered using this facility until I checked out (approx 10 months). 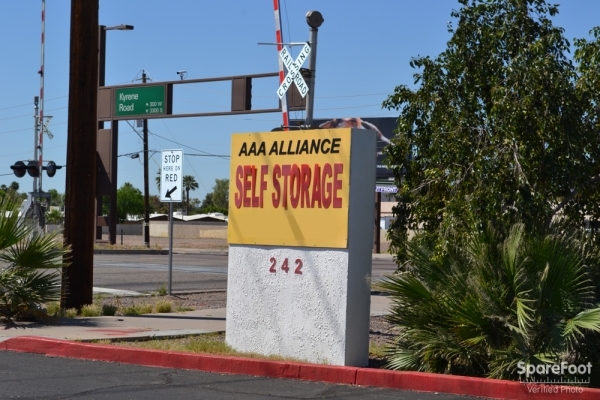 I have used several self storage services before and AAA Alliance was the best by far! Best price, best service, and overall best facility. I can't say enough good about my experience- way exceeded my expectations and past experiences! Diane called me only moments after reserving a storage space online, just to answer any questions i may have had. Was able to move in same day, Paul made sure I okayed the storage space and they both helped me make sure I was completely satisfied. Recommend this facility to everyone. Paul was very helpful and a pleasure to work with. I would recommend AAA- Alliance to other potential renters. Found the management very helpful & kind. The storage unit when in was very clean been happy with them for years. i found them online and have had no trouble with anything. they are great with follow-up, reminder emails and were really nice when i got there to get started on paperwork. the price is really great and way less than most storage centers out there. they have lots of different size units to cater to everyone's needs. Very great service. Help with questions, and had the paperwork done in five minutes. The managers are on site and great people to do business with. 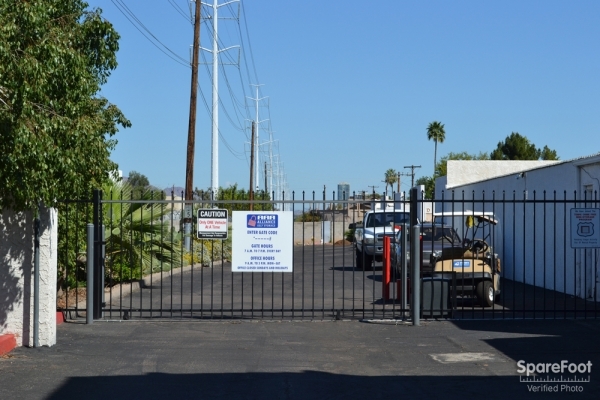 The access hours are convenient and location is great with easy access from anywhere in the valley. The managers onsite are very courteous and flexible with me on my storage requests. I've been here a couple of months. I got a really good move-in special and I havn't had any problems. The price isn't bad and the staff is always checking the storage area, to make sure everything's going ok. The location isn't bad either. It's not hard to get to. Friendly staff, easy pay options...very comforable with our items there!! IF YOU'RE LOOKING FOR A SAFE PLACE TO STORE YOUR BELONGINGS, THIS IS NOT THE PLACE FOR YOU!!! Ask about the 21 units that were broken into in July 2012 before renting a unit from AAA Alliance Tempe. Our daughter's unit, along with 20 others, were broken into - that is one complete hallway! Management just shrugged, stating that it must have been a tenant because there was not breach on the gate. The lock was not damaged, it was the bracket that holds the lock that was cut and pried open. To make matters worse, the items taken were of little value to anyone except my daughter. The bike/micro/frig were not taken, but things like personal letters and decorations, books, toiletries, momentos and memories. Makes you wonder doesn't it??? Of course, not the things you would insure. The staff here is ultra-friendly. The discount was given, there were no hidden fees, and they even provide a nice lock at no additional charge. It's a convenient location, too, close to ASU. Unit was clean. Discount was for real with no hidden conditions. Staff is very helpful and friendly. Only a couple miles from the Tempe ASU campus. It was a very pleasant experience. I would recommend it to others.